The Plek machine is a great recent device that uses computer control to evaluate a neck, set the truss rod, level the frets, and cut the nut slots. It is being adopted by guitar manufacturers to allow more precise and consistent set up of their guitars and thereby maintain a standard for playability. When the Plek machine came out, there was immediate buzz on the Internet on the issue of whether it would put luthiers and techs out of business by supplanting the setup business. When I asked my own luthier about this, he just smiled a wry grin and said, "Um, not likely." I've finally had the chance to compare the work of my luthier to the work of the Plek machine. I don't want to make this into a diss of one or the other because both serve their purposes admirably. Please remember that as I describe my experiences. I've had access to six guitars set up by my luthier at this point, three electric and three acoustic. Now I have the opportunity to compare those guitars to a new Gibson Les Paul with a Plek'd fingerboard. Last night I pulled out three very similar guitars including the new Plek'd one and played them one after the other to get an even more detailed and immediate comparison. Let's address the areas of similarity and difference first. 6. A re-fretted 1974 Conn F-27 dread with rosewood board, medium-jumbo frets, and binding. On the "Plek" side of the comparison we have a recent Les Paul Studio '60s Tribute with rosewood board, what I'm estimating are jumbo frets, and no binding. As you can see, there are several guitars on the luthier set up side that cover the fretboard characteristics of the Plek'd example, so we should see a fair comparison between them. The results are similar in the purely mechanical side: Both sets of guitars have no buzz at any position and have no tendency to "fret-out" when a string is bent. The results differ in a couple of areas: fret ends and crowning. For the fret ends, any of the luthier set up guitars except the ES-335 will compare fairly because they all have exposed fret ends, but the G&L has the exact configuration of the Plek'd instrument. The Plek'd instrument has consistent fret ends. None sticks out more than the others. There are, however, reasonably sharp angles in the final cuts of the fret ends that catch your skin as you slide your hand up the neck. The non-Plek'd instruments have had my luthier's fret-end treatment: eight cuts with a file to create hemispherical fret ends that don't catch the skin when you slide your hand and fingers up the neck and feel smooth and broken in from the first day. On the crowning issue, the Gibson ES-335 will compare favorably and anecdotally well with the Plek'd guitar because both have jumbo frets. The Plek'd Les Paul has a very consistent action. You can fret and bend anywhere on the neck and you won't have "fretting-out" issues. I have to say that this is a distinct improvement from previous generations of Gibson guitars where you could find playing positions that could buzz when fretted or could fret out when you bent due to high frets above them. The big difference between Plek'd and luthier setup is in feel. The Plek'd Les Paul feels like the ES-335 did before I had it set up by my luthier. When the ES-335 was delivered I don't know whether it was Plek'd, but Gibson had spent the time to give it a good, consistent action with no buzz issues. However, some fret tops were flattened and the edges along the top of these were quite sharp. 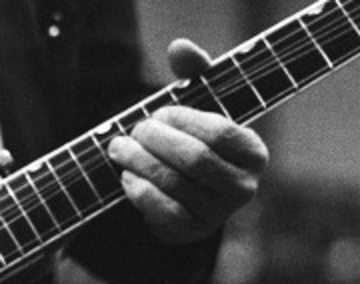 If you slid a chord from one position to another, you would most likely catch a finger on one or more fret edges. However, once the ES-335 was set up by my luthier and the frets were dressed, that sensation was gone. That's because once my luthier finished leveling the frets, he crowned them. He took a concave file with the inverse of the fret-top profile he wanted and shaped the tops of the frets until they were smooth. A slide up the fingerboard felt as smooth as a slide up a fingerboard with much lower frets. The guitar had a broken-in feeling that was much more conducive to playing and more comfortable. So there you go: The difference as I experienced it, between a Plek'd guitar and a guitar set up and dressed by a good luthier, is one of comfort. While the Plek'd instrument works well, it isn't nearly as comfortable as the hand set up instrument. Plek works extremely well to assure that you end up with an instrument that works and doesn't have buzz issues. For that, I commend the manufacturer. Implementation of Plek in the manufacturing process assures that you will have a playable instrument at delivery time, and that represents an added value. However, as currently implemented by Gibson, it doesn't take the guitar nearly as far as a luthier can in the area of comfort. Looking at the Plek website's step-by-step description of implementing the machine in manufacturing, it details how the final crowning and dressing is supposed to be done by the technician, by hand, between other steps feeding and operating the machine. I suppose that is the missing step in my example instrument. Of course, it is a fairly inexpensive guitar - I had to purchase a hardshell case for it separately because Gibson only included a gig bag. Do understand that I pay a pretty good premium for my luthier to spend three to five hours on my guitar. That's money the guitar makers can't afford to sink into the instrument because it would cause the guitars to cost more and thus be less attractive to the average buyer. I'll be taking the new Plek'd Les Paul in for a set up with my luthier. I hope the info helps in your evaluations.